While social media is a potent tool when utilized to its full potential, it doesn’t mean your business can drop everything else. 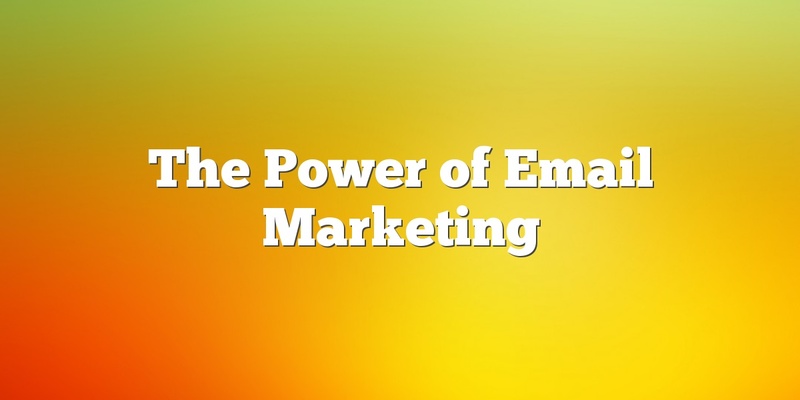 Email marketing is highly effective, inexpensive and is typically responsive. Email marketing is also a useful brand-building tool because your readers see your business or brand regularly, keeping it top of mind. In today’s world, we just can’t put down our email. If email marketing seems like a daunting task, I might know someone who can help you out with that. Our team encompasses the skill set to help your business or brand thrive through the use of email marketing. My number one piece of advice for creating successful email marketing campaigns? Spend time generating content that your consumers will enjoy reading and engage with. What are some engaging email newsletters you subscribe to? Let me know in the comments below!